Prioritization is firstly about focus—where to assign resources and when to start the work. It is not primarily about scoring methods and ranking mechanisms. Without defining project priorities, it is difficult to effectively distribute personnel to carry out the highest valued projects. Project priorities enable management to assign their employees to the most important projects. Gaylord Wahl of Point B says that priorities create a ‘true north’ which establishes a common understanding of what is important. Prioritizing projects enables organizations to make the best use of company resources. Without a clear and shared picture of what matters most, lower-value projects can move forward at the expense of high-value projects. Again, prioritization is about focus—WHERE to assign resources and WHEN to start the work. 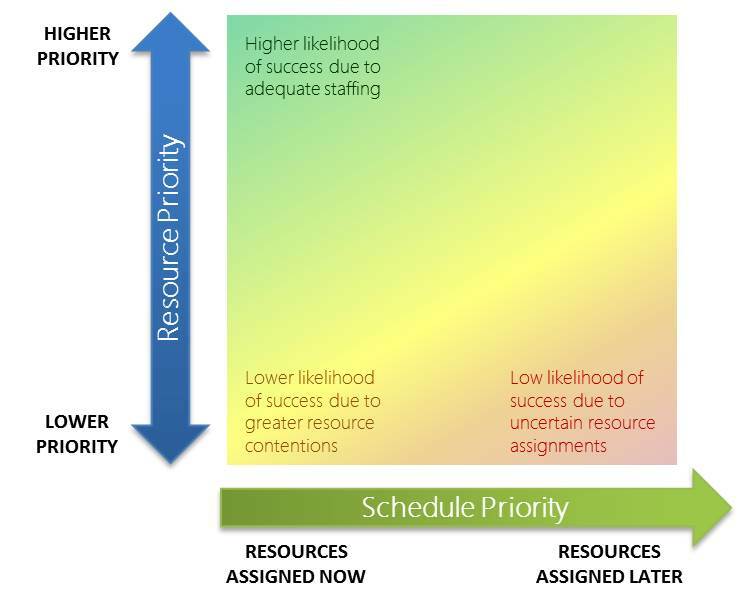 Prioritization and resource allocation go hand in hand.